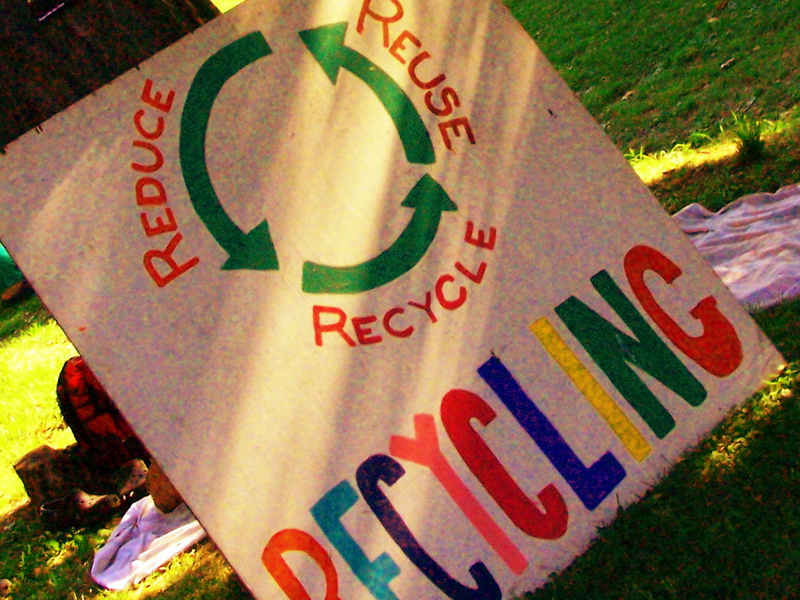 Recycling seems to be the new national pastime and we couldn’t be happier. But now that the Lebanese are finally on that right track there are a lot of questions. How exactly does one recycle? What’s the right way to do it? Is it polite to wash plastic containers before turning them in? Should we recycle those oily pizza boxes from lunch? What about tissues? These are all real questions overheard at various homes and offices over the past few weeks. So, we did some research. Since etiquette is all the rage these days, we now present: lessons in recycling etiquette. Crush! Those empty metal cans are filled with nothingness that takes up space. Step on the cans to crush them into neat rounds and it’ll make them easier to store, transport, and recycle. For the same reason, squeeze plastic bottles and make them as flat as possible. Washing plastics is not necessary but it helps. Companies will definitely not refuse your recycling if the items are dirty, but no one wants to touch your drippy, smelly leftovers, and this helps reduce contamination. Rinsing containers of major scraps of food and other residue is good practice. Removing labels is also good if you can manage it. Again, recyclers can do this themselves, but if you’re feeling extra nice you can help. When it comes to paper and cardboard, don’t recycle what’s been contaminated with food and oil. Throw away your greasy paper waste, or tear/cut out what’s dirty and recycle only the clean parts. Tissues are useless. Their fibres are unsuitable for recycling and they’re usually dirty so there’s too much contamination. Separate plastic bottles from their caps if you can. The two are often made of different types of plastics so they will eventually be separated by someone at the plant. The little plastic ring around the bottle can be left on since it’s only a very small amount and won’t affect anything. You can also remove lids from jars. Glass and metal can’t be recycled together. If you can’t be bothered, the recyclers will do it themselves. With paper, try to remove paperclips, staples and excess tape. Small amounts won’t affect the process too much. Most plastics can be recycled. That includes PET (bottled soda, cooking oil, etc), HDPE (thick bottles often used for cleaning fluids, washing detergents, etc.) and PVC (water bottles, toiletries, etc). Some plastics, like blended polymers found in a lot of delivery packaging and grocery bags, unfortunately, cannot be recycled. But if you’re a regular citizen you might not know the difference so you can let the recycling facility do the sorting. Plastics that have been combined with aluminium, like packaging for some snacks, is also not recyclable. Etiquette or not, the important thing is to recycle. Don’t let this lesson scare you away, we’re just sharing tips to improve recycling habits. The people at recycling plants know what can be processed, so if you’re not sure just do your best. And If you’re not recycling yet, you’d better start! Everyone is doing it! Here’s a list of recycle organizations in Lebanon, thanks to Lebtivity. Happy Recycling!